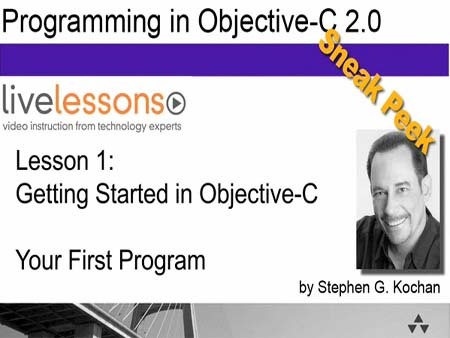 Stephen Kochran guides you through the process of creating your first Objective-C program in this training video from the LiveLessons book/video bundle Programming in Objective-C 2.0 LiveLessons Bundle. Programming in Objective-C 2.0 LiveLessons Bundle, by Stephen Kochan. From the author of the bestselling book Programming in Objective-C 2.0, Second Edition.